The 3 Panel Cyclone Challenger is an interesting new play piece that is great for schools and playgrounds in all areas. It features three curved rock wall panels that have brightly colored handholds. 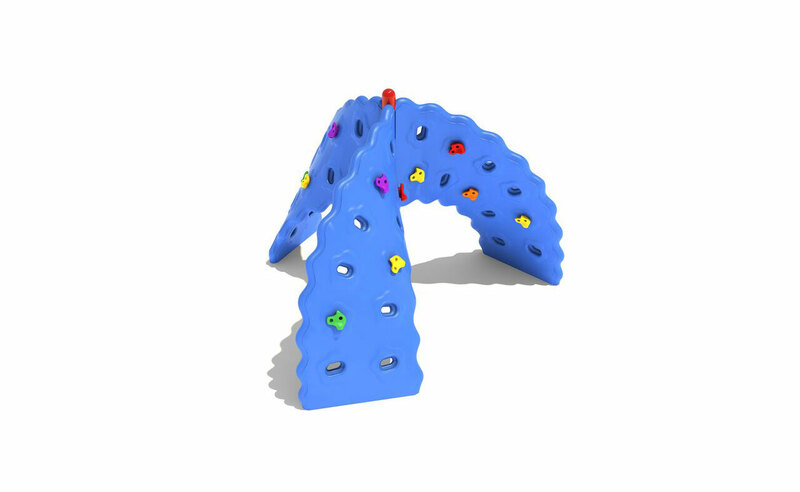 This event is great for climbing, allowing 5 to 12 year olds the chance to climb and jump, and make up their own games surrounding this twisting climbing apparatus. This piece of equipment is great for developing hand-eye coordination, muscle strength, and other motor skills. 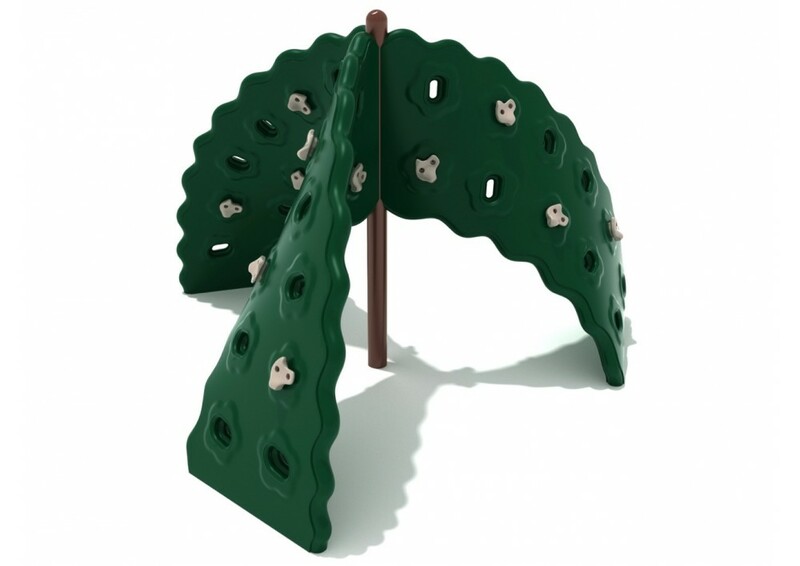 The climber is made of plastic and steel, and is perfect for use in public playgrounds and school playgrounds of any size. It is easy to securely install in the ground. The 3 Panel Cyclone Challenger should be installed over proper safety surfacing as this reduces the risk of injury during play. You can explore safety surface options on our website or by speaking with one of our knowledgeable customer service representatives. 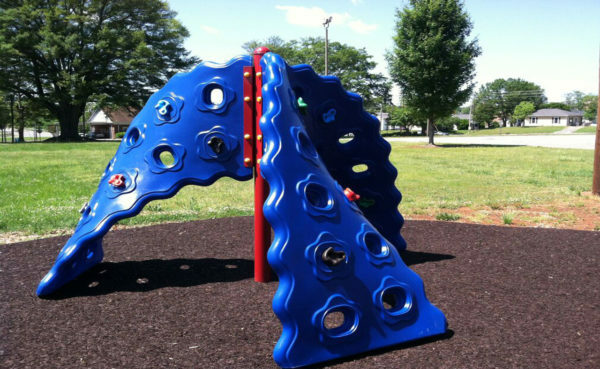 The Cyclone Challenger is a fantastic addition to any playground and offers quality at a price that is difficult to match. 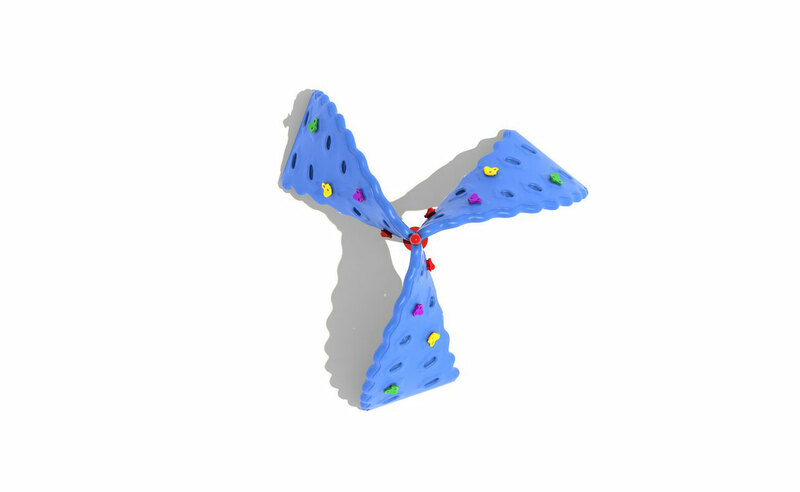 The climber is generally kept in-stock with blue panels and a red center post. The center post is 4.5 inch diameter. The climbing panels reach 6 feet five inches high after installation. Request custom colors from a customer service representative. Safety Zone – 16' 1” x 16' 1"